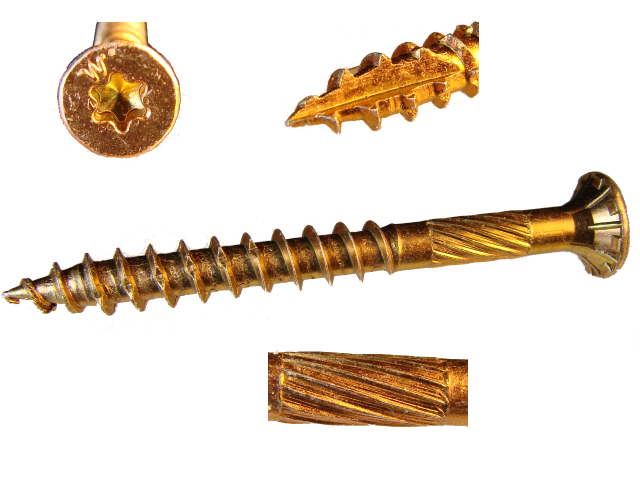 Our Gold Star Screws are an excellent general purpose fastener for all interior wood-working projects. They feature a star drive for maximum torque. The type 17 tip starts cleanly and easily without "walking". These screws feature a knurled shank that makes driving easier on both the user and the tool. The spiral notches in the threads reduce the torque needed without affecting holding power. High quality steel. Heat treated and hardened.